"If it is always necessary to tell the truth to the customers, there is no possible business", to quote the great Marcel Pagnol. There is much to be said about this timeless phrase, but it is clear that it makes sense if applied to the field of technology. If we told users that the vast majority of innovations that we present as extraordinary are in fact useless, even laughable, would they still be willing to spend their money frivolously? It is a broad subject that can be addressed in many ways and, in any case, we will not know the answer. What is certain, however, is the lack of major innovation on the market. There was a time when the goal was to surprise users with new features - useful, practical new things. Today, we find a series of novelty features, most of the time 'borrowed' from competing models. Let's take Android or iOS smartphones for example: what can we do today on our smartphones that we couldn't do in the recent past? Of course, everything is faster thanks to better components - we have seen an evolution in terms of ease of use and even security. In terms of real innovation, or "game changers" as my American colleagues say, there is nothing new. 5G? It is aimed at the future of connected devices rather than at the future of smartphones. Artificial Intelligence? Same thing, with the exception of AI photography developments that do have their benefits. Unlocking your device has evolved from using a simple code to fingerprint readers and facial recognition. We save two seconds when we unlock our device, which is a big deal, but it is true that in many cases safety is increased (my colleague Steffen will probably not agree with this given his experience), although this is debatable. If we cannot talk about real innovation, it is true that smartphone cameras have also evolved in some aspects and now produce great results (usually on flagships only, of course). A real innovation that we have seen happen a few years ago is the online payment system: an innovation that is directly linked to trade and business. In general, this is what it is all about: trade. The objective is commercial, in one way or another. Whether it is a technological "novelty" to motivate a purchase or a gimmick to make it a faster sell, we come back to the same point. Having evolutions instead of innovations is starting to become a problem: if we have to get our wallets out, we want to see revolutions and not smartphones that have more RAM or processors so powerful that we don't know what to do with them. While doing some research on the AndroidPIT website, I discovered an article published by a former editor in 2011. These are 5 innovations, considered at the time as futuristic. 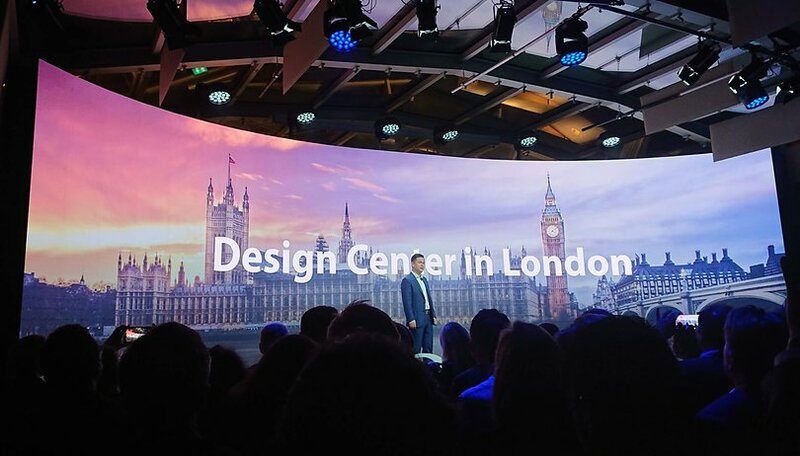 It is important to note that it took until 2018 to see a concrete project of a folding screen - an innovation that has been promised to us for so many years now, thanks to Royole and Samsung. This is an interesting innovation (as long as it is practical and functional and not a semi innovation that cannot even be carried in your pocket because it's so thick): such a screen would ideally make it possible to easily transport a device with a large screen and use it on the go. Another enticing innovation that stirs rumours every year: a truly long-lasting battery. Autonomy is still one of the main problems of smartphones (if not the main one). Naive users such as us might think that its development should be a priority, but so many others are willing to shell out $1000 for a smartphone with minor improvements, such as a better camera, 1 more GB of RAM, etc., so why complicate their lives? This is where part of the problem lies. As long as there is demand for this type of supply, there will be supply. It is obvious that real innovation requires a lot of effort, but seeing so many manufacturers introduce us to simple evolutions or generally useless changes under the term "innovation" is beginning to hurt our eyes. Changing materials, adding light effects on the backs of devices, putting more RAM or power, proposing different ways of doing things that already exist... There only are so many ways to hide behind "technological progress". Who is to blame? Manufacturers, because they take advantage of the situation? Consumers, because they get manipulated and ask for more? It's a vicious circle, but who cares? Brainwashing through advertising campaigns of all kinds ensures that the situation does not change, and the way brands alienate their users (who often allow it) ensures that they identify with a brand and no longer with a device or technology. Without going too far into the subject (the help of a sociologist might be necessary at that point), people no longer seem to have any perspective and rush into the depths of marketing traps. Companies, on the other hand, are obviously rubbing their hands (between discourses on digital well-being), since they can maximize their profits without having to be too creative. Innovations are minimal and prices are soaring, yet smartphones at high prices are selling well. Isn't that a problem? Certainly, it seems that the general tendency among consumers is to favor brands that offer lower prices (Xiaomi, Honor, OPPO...), rather than traditional brands that are plunging head-first into a high-end/luxury strategy, a fact confirmed by a recent study (which indicates a general decline in smartphone sales over the year). Manufacturers, if you want to change this trend, you will have to put technology back at the center of smartphones and use words only when you mean them: what you currently call innovation is in fact far from it. What do you think? Is there still hope for innovation in the the smartphone market? I used to spent so much for flagships before, the last was my LG V20 which I already sold. From there I made a decision of not spending so much for a flagship, since there are already flagship specs at midrange price. I narrowed down to two, Pocophone F1 and Honor Play, but due to supply issues, I got Honor Play. As far as innovation, for me well if money aint a problem and as far as there is real innovation I would gladly buy it. But considering that most midrange smartphones can do what flagship phones can do then I can settle with that. There is a TON of room for innovation, but the question is does any manufacturer actually want to provide it? Probably not because there are economic disincentives to innovation. Manufacturers are financially rewarded for producing bad products and financially punished for producing a good product. The less often we upgrade (and by "good" I mean a product that is long lasting that I will keep using for a long time) the less money manufacturers make, therefore the worse the product and the sooner it fails the more money the manufacturer earns. But to look to the positive where I see innovation potential: the experiments with sliding cases coming back, different materials instead of all glass, Google's two ways to support low-end phones, the healthy ROM community. These are all indicators of potential for meaningful innovation on the hardware side. Even some of the changes in wearables, augmented reality, fitness tracking, linkups to IOT (Internet of Things), and the progress at making a real world Star Trek tricorder (just got closer this month with the ability to detect harmful gasses using only a camera and a laser in a fraction of a second). The app market is really set to give us amazing things. If you haven't played with Google Translate lately, bust out the app and hit the microphone and then the "conversation mode". Welcome to your own functioning Star Trek universal translator, it is awesome. And a game I played recently (Immortal Conquest) had implemented a translator for the in-game chat so I was talking to people in russian, portugese, korean, japanese, italian, and french in realtime. Were the translations perfect? No, but they were good enough and plenty fast. It is only a matter of time before these are built into our text messaging apps and email and Chrome already has it in the browser. Imagine being able to send a text to anyone on earth in english and they can read it in their native language and don't even know you didn't send it that way? This is almost here. Microsoft Seeing AI can do handwriting-to-speech not just text-to-speech (sadly iOS only) and Windows 10 has built-in ability to track your eye motion for hands-free control of your mouse. I've seen a few phones starting to experiment with eye motion tracking. Smart Watches are using air gestures now so you can make motions above the phone instead of touching it, and the AI assistants are getting close and closer to fully operating the phone by voice. In China the mobile payment system is far more mature than in America and Europe, they have full integration with WeChat and Alibaba so you can send a link to your friends during a chat session of what you are eating and they will be able to instantly order it and have under 2-hour delivery to their home of the snack or clothing etc. And there is a whole market of micro-manufacturing coming out based on print-on-demand style business but for clothes, cups, linnens, etc where styles and products change weekly instead of yearly and the manufacturers don't have any stock they just make what people order then move on to something new all of it managed via phones. We've not yet seen this appear in the US because we are obsessed with credit cards and afraid of mobile payments and, quite frankly, afraid of the two major Chinese mobile ecommerce juggernauts Tencent and Alibaba. There is room for some truly amazing innovation in both hardware and software for our phones. The only question is who will give it to us? "Innovation has been sacrificed in the name of profit" That is an understatement, I think most things have been sacrificed in the name of profit. Removable batteries, so you have to buy a phone more often. Head phone jack, so you have to buy more expensive Bluetooth devices. Expandable storage, so you have to pay for cloud storage and data charges for using it. All they gives us in return is gimmick after gimmick. I am sorry but I do not want or need 5 or 6 cameras on my phone. A phone camera can replace your instamatic but it can't even come close to replacing your DSLR. Manufactures gave up caring what we want long ago and just give us what they want us to have. The problem is all the YouTube self-proclaimed experts that tell us how great they are so they can get their free phones. Then all the sheep run out and buy them because they want to be cool with their new device. The smart phone market has gone to crap and I do not think it will ever turn around. The last phone I got excited about was the Galaxy Note 4. The last great phone ever produced.